Construction on Phase II of Loudoun Station is underway. Comstock’s Loudoun Station is Loudoun County’s first live-play-work, transit oriented development on Metro’s Silver Line extension and is located directly at the Ashburn station. The master planned development designed by Torti Gallas and Partners follows New Urbanist guidelines and features retail, dining, residential, and office spaces, in addition to a 1,500 space Metro parking facility and a charming urban park. L.F. Jennings began construction in May, building out the eastern side of the mixed-use project. When complete, Phase II will consist of two 5 story luxury residential buildings over ground floor retail and a structured parking facility. 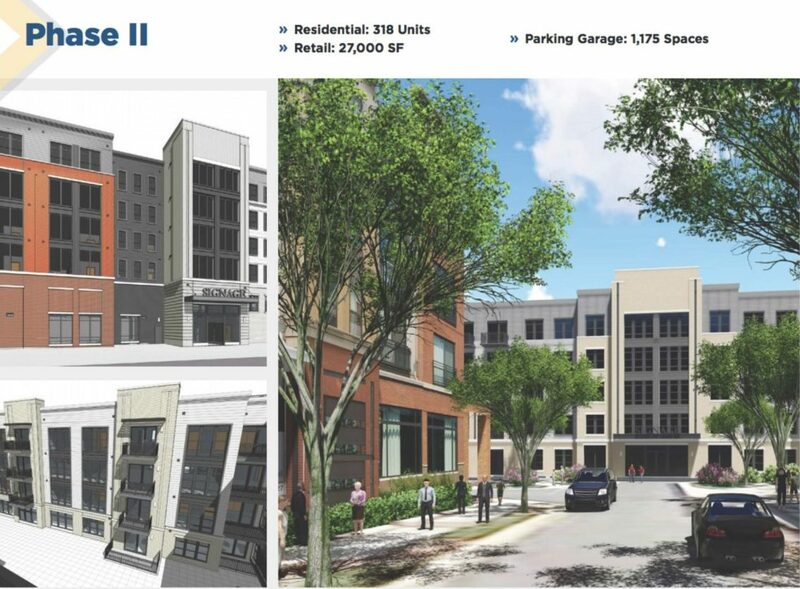 Phase II’s two residential buildings add to the existing 357 BLVD apartments, delivering an additional 318 studio, one, two, and three-bedroom units over 19,000 SF of retail space. The East Garage is a 7-story, 993 space precast concrete parking facility, built over 181 cast in place spaces below grade. The garage will host 8,000 SF of retail located on the ground floor. Phase II will deliver in 2020.